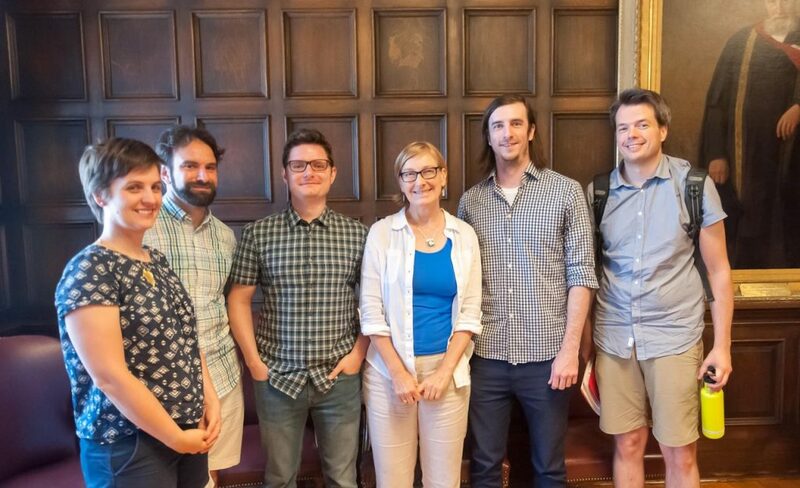 Congratulations to Guilherme Garcia and Oriana Kilbourn-Ceron, who defended their dissertations this summer! Gui’s dissertation, supervised by Heather Goad and defended August 2, is titled “Weight effects on stress: lexicon and grammar.” Gui is currently a lecturer in the Department of Education at Concordia University. In the winter he will be joining the Department of English at Ball State University as an assistant professor (tenure-track) in phonology/phonetics. Congratulations, Gui! Gui (third from left), supervisor Heather Goad (fourth from left), and oral defense committee. 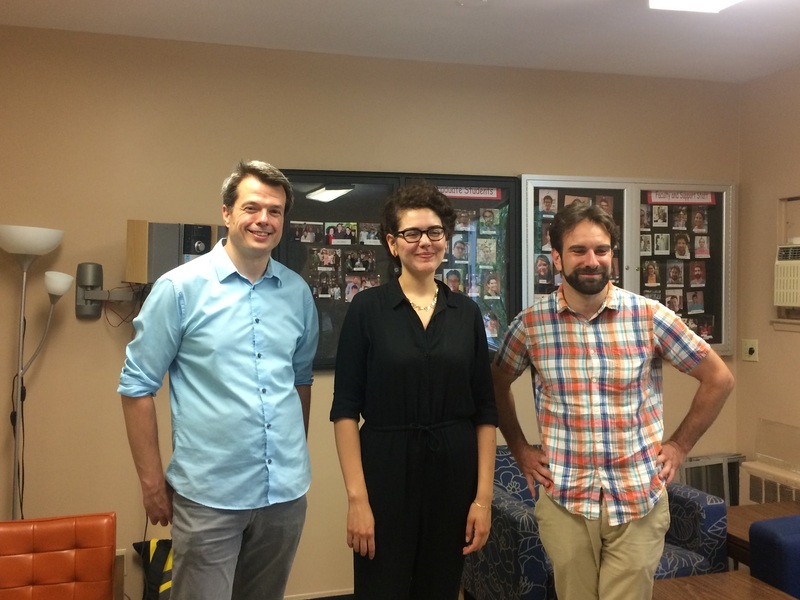 Oriana’s dissertation, supervised by Morgan Sonderegger and Michael Wagner July 21, is titled “Speech production planning affects variation in external sandhi.” Oriana is currently a lecturer in the Department of Linguistics at Concordia University. Congratulations, Oriana! Published by McLing on September 11, 2017 at 1:50 am under Student news.